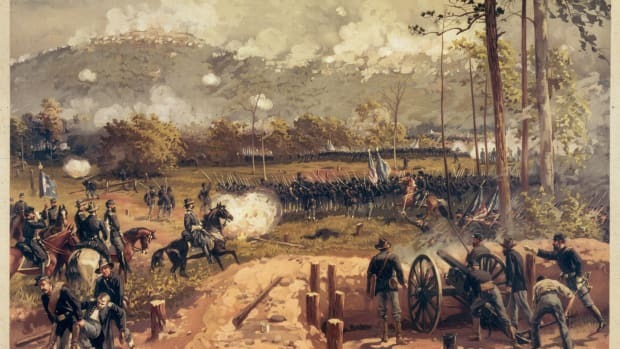 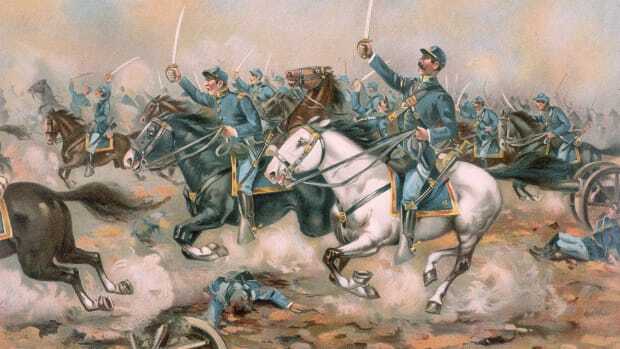 The Petersburg Campaign (June 1864-March 1865) was a climactic series of battles in southern Virginia during the American Civil War (1861-65), in which Union General Ulysses S. Grant faced off against Confederate General Robert E. Lee. 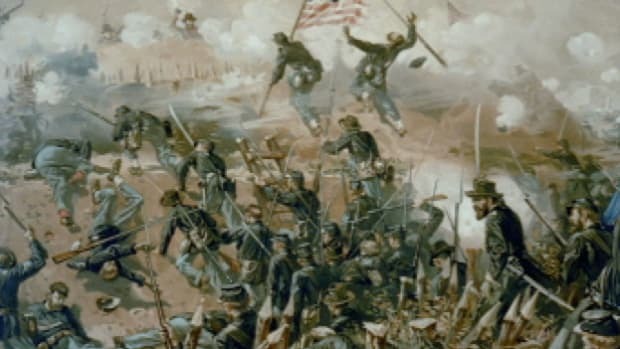 The campaign saw one of the most protracted uses of trench warfare during the war, as the two armies clashed for more than nine months along a series of trenches more than 30 miles long. 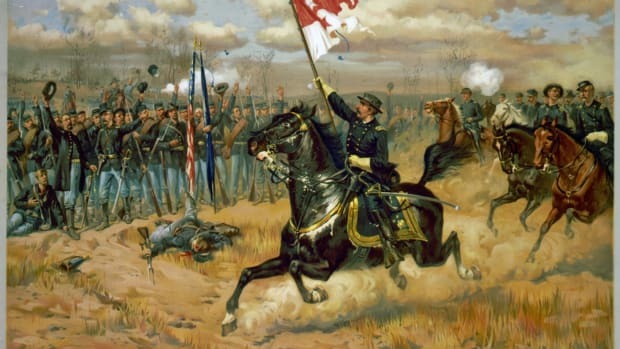 By late March, with Confederate supplies dwindling and Union pressure mounting, Lee was forced to retreat; abandoning both Petersburg and the nearby Confederate capital of Richmond, and leading to his surrender at Appomattox Court House on April 9, 1865.